BMG’s range of Nord aluminium drives is available with the nsd tupH (sealed surface conversion system) anti-corrosion treatment, which has been developed for improved process reliability in extreme environmental conditions and hygienically critical applications. “Nord’s corrosion protection system, which is resistant to acids and alkalis, is a highly efficient treatment for gear units, smooth motors, frequency inverters and motor starters used in wash-down applications,” explains Derrick Louw, Nord product specialist, BMG. 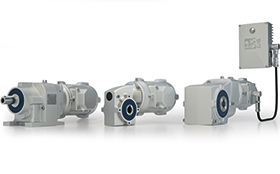 “The drive units are a robust alternative to painted geared motors or stainless steel versions. The surface treatment process permanently bonds a high hardness layer to the substrate to offer the same corrosion resistance as stainless steel. Advantages include extended surface life, a substantially lower mass, improved installation options and cost efficiency. Nord drives with nsd tupH comply with FDA Title 21 CFR 175.300 and, for this reason, are suitable for food applications. They have been successfully tested for blistering, corrosion, scratching and salt spray and resistance to common cleaning agents used in the food industry. Typical applications for the drives with nsd tupH surface treatment include the food and beverage industry, bottling and canning plants, water treatment and sewage plants, as well as offshore and onshore applications. This range is suitable for use in any plant that requires a wash-down after production. The range, assembled locally by BMG according to stringent international quality and safety specifications, has earned recognition for reliability, efficiency, reduced noise levels, extended service life and minimal maintenance requirements. Case History 165: Interesting tests on loop problems show how much can be deduced from the results. Beckhoff’s control architecture provides best solutions for local machine builder.